You are here: Home / Co-Parenting / A Girlfriend’s Guide to Letting Go: Let Your Man Handle His Business! A Girlfriend’s Guide to Letting Go: Let Your Man Handle His Business! Today, in the spirit of open and honest communication, we need to talk about just that: communication. I need to keep it real with you. I can’t sugarcoat it. You’re doing too much, mama. You’re “doing the most,” as the kids would say. You think you’re being helpful. You think that you are keeping the ship afloat. You really, truly have the best intentions… but your execution is flawed, whether or not you’re ready to admit it. I have no other way to say this, other than stand down, and let your man handle his business! In our stepmom support community, I read posts daily from exhausted stepmoms all around the world. Stepmoms who feel overwhelmed, taken advantage of, and underappreciated. These women are often in their first few years of stepmomming, are often childless, and some are what I like to call “stepmoms in-training” (meaning, they are dating a man with kids). Still dating, and already feeling exhausted and underappreciated! That’s not a good sign for the future, mama… something needs to change! “That would never work for us” is simply too close-minded. If I’ve learned one thing stepmomming, it’s that a change in perspective makes all the difference, in virtually every scenario. You are in control of your happiness, far more than you realize. 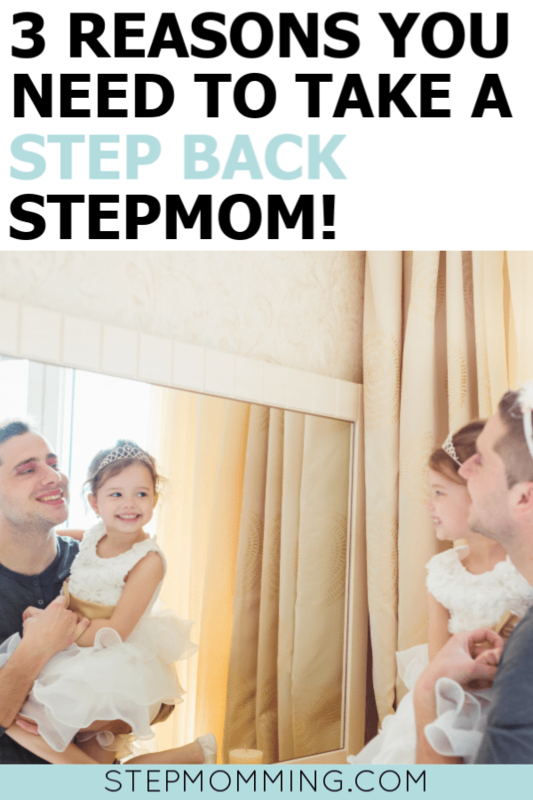 It is so common for new stepmoms to feel like they have to step in and intervene in shared parenting matters whenever possible. They want to be in-the-know at all times. They see problems and they try to fix them, often to a fault. They see that their boyfriend or husband cannot communicate well with the ex, so they try to take over communication to “keep the peace.” They see that their other half cannot recall past events, the timeline, or facts as well as they can, so they take over writing emails for them. They see that trades always end in a verbal altercation, so they step in and start doing trades themselves. When they are the ones opening backpacks and signing homework folders, they take it upon themselves to keep their stepchild’s mom directly informed. They care of their stepchild as their own, and truly act as a parent to the stepchild. What?! It’s so much more convenient for you to talk to me! Why the won’t she work with me?! It’s no wonder these women come to our support group seeking advice and encouragement. I have been here. It’s an exhausting, gut-wrenching place to be in. You know how dedicated you are to your role as a stepmom and yet, it seems like no one else does… especially the child’s mom. Surely you know that this phase comes to an end. Think about it, you never hear 10+ year veteran stepmoms, or stepmoms with biological children, making this complaint. You never hear those women talking about how they are fully in charge of communicating with their stepchild’s mom, about how they are micromanaging every interaction, or about how overwhelmed that makes them feel. Of course I know in some blended families, the mom and stepmom do all parenting communication directly, and it works great. If this works for your family, then this article is not for you. This message is geared towards the stepmoms who have taken over communication, but now it’s taken over their sanity. 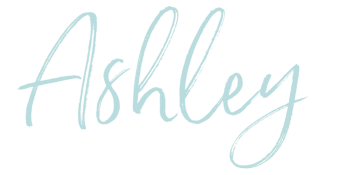 If you are reading this and are annoyed… if you have thought, “How dare she say that!” while reading this… if you are thinking “But Ashley, you don’t understand our situation… it’s far too extreme! I cannot disengage!” then I need you to keep reading… this next part is for you. Here are my top three reasons why you need to step back and let your man handle his business! Like I mentioned before, a change in perspective can often make you go from anxiety-ridden to happy as a clam in the blink of an eye. They brought the child into this world, and it is their responsibility to take care of the child. Not yours, not the stepdad’s… theirs. You, the stepdad, grandparents, etc. are all supplemental caregivers (in very significant roles! ), but the responsibility of the child ultimately falls on the biological parents. It makes sense that they don’t communicate well with one another… after all, their relationship failed! But whether you are in a co-parenting or parallel parenting situation, this is their job. It may be messy at first (or forever) but it’s their responsibility, not yours. You need to trust that your man can handle his business. Think about it… would you really have wanted to marry a man who couldn’t be a good father to his child?! You know that part of being a good father is working with the child’s mother, right? If you’ve taken over communication with your stepchild’s mom because you want to be in-the-know, or if you’re reading every text message and every email that comes through, stop. Imagine the mental health benefits of not reading all of the conversations! I can tell you from experience: this is a big mental health saver! Trust not only that your partner can handle communication with the mother of his child, but also that he will keep you informed with any information you need to know. You don’t need to read every parenting jab they took at each other to come to an agreement on a trade location for Christmas Eve… you just need to know when and where the trade is taking place. Your man is way more capable of handling his business than you are giving him credit for! The #1 reason you really, really need to let your man handle his business is for yourself. You are your own biggest advocate, and the person who can take care of yourself better than anyone else can. The thought of turning over the communication reigns to your significant other can be really stressful… I get it. Like I said before, I’ve been there. But at the end of the day, if you’re feeling overwhelmed in your role as a stepmom, it needs to be done. As with any change, there may be some bumps in the road at first; however, if you maintain your firm boundaries, it can be done well, and you can regain the mental freedom you once had. Trust me, discomfort now is much better than resentment later. There is no need to feel taken advantage of, verbally harassed, or underappreciated as a stepmom. Creating and maintaining your boundaries are the most critical components of stepmom self-care and despite how impossible it seems, it can be done. Take it from someone who has learned this lesson the hard way… let your man handle his business! If you’ve made it all the way through and still think this would never work for you, I urge you to bookmark this article and check back on it in a year. Stepmomming is a roller coaster, advice isn’t one-size-fits-all, and unfortunately, sometimes the best advice is right in front of your face, but you’re just not ready to hear it. P.S. Can you relate to this, but really feel like your intentions are in the right place? (They probably are!) 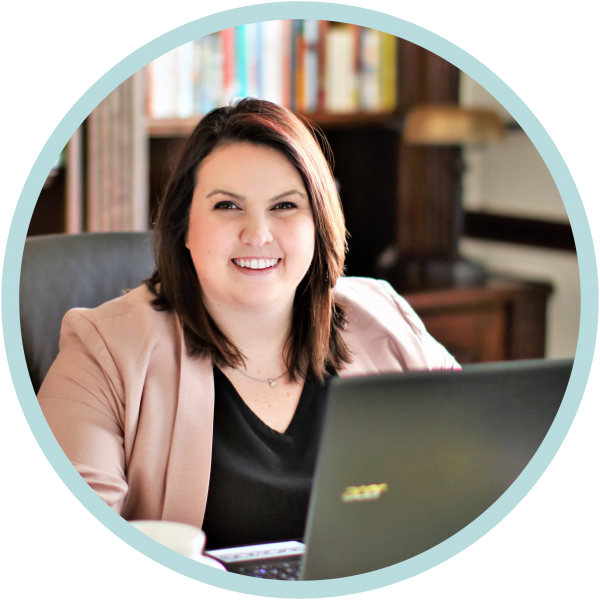 Here’s Kait’s advice for how to be water- instead of gasoline– within your stepfamily dynamic. I completely get this and yes, I’m in the first year of my stepmom role. I want to step back and not micromanage but my husband agrees to changes in plans with his ex before he even asks me. It creates a lot of resentment when I feel like we’re not a partnership. I’ve asked to be included in the text or email chain because even after he agrees with her he never communicates the changes with me. I’m not sure how to step back but also know what is going on in our home. I’ve tried and tried to ask him to discuss things with me before he agrees but I feel like he just avoids conflict with her so he just always agrees and would rather deal with my anger and resentment. I am so sorry to hear that, Kira! Part of what will help this is time. The first year is HARD. The first couple of years, really. But you will eventually land on a system of organization that works well for all of you. The fact that you’re already having those healthy conversations with him speaks volumes. Hang in there, Mama!